Sure Grip Rebel Derby LAST SIZE! The Rebel Derby has a leather boot, probe nylon plate, QUBE Juice bearings, Fugitive wheels, and a Carrera speed toe stop. All the components in the Rebel Derby are performance ready to get started. Virtually no break in period, this boot gives instant comfort and stability to get rolling on the track. 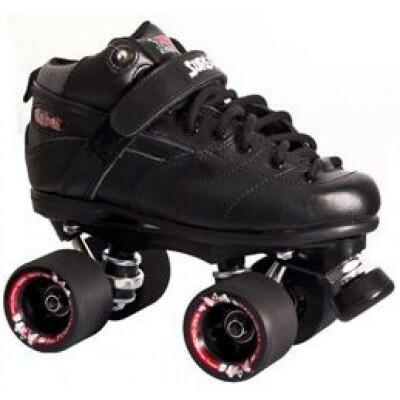 The Rebel Derby is a quality skate package at an affordable price and comes with Fugitive wheels 92A.